On this date the pioneering gay singer-songwriter MICHAEL COHEN died (b: 1951). Sadly, Cohen has largely been forgotten, but his first album is considered one of the first, if not the first album by a major label by an openly Gay musician. Released in 1973 on the Folkways label, Cohen’s album made no bones about its nature. 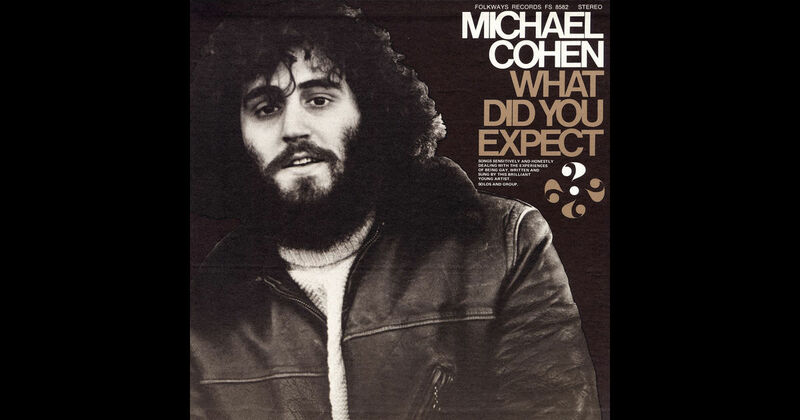 Titled “What Did You Expect: Songs about the Experiences of Being Gay”, it consisted of nine songs that recounted Cohen’s coming-out experience, ballads about his lover and a cover of a song by Leonard Cohen (no relation that we know of). The liner notes reveal that he lived in New York and was a taxi driver and very connected to the art scene in the early 70s. That’s about it. He recorded two more albums (one more for Folkways, Some Of Us Had To Live” and the third on a smaller label).